When introducing the Franz Josef Land map i pointed out the poor coverage of Arctic islands in common map services and satellite image mosaics. This does not only apply to Franz Josef Land but also to other islands, especially in the Russian Arctic. The Severnaya Zemlya islands further to the east are so remote that they have not been discovered until 1913 and have first been explored thoroughly in the 1930s. As a result many of the islands and landmarks have names with a communist background – the major islands for example are Bolshevik Island, October Revolution Island and Komsomolets Island. Until recently the northern parts of these have been enclosed in sea ice even in summer making them even less accessible. Recent warming however has lead to even the north and east coast being free of ice in summer in many years. I have completed a map of Severnaya Zemlya now which is produced in a way similar to the Franz Josef Land map. The geography of Severnaya Zemlya is quite different from Franz Josef Land with a few large islands instead of many small ones. The data is somewhat newer with most areas based on images from 2010-2013 and very few areas older than 2005. 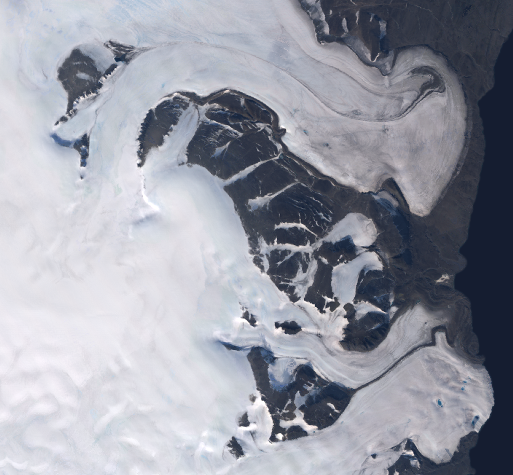 In total 90 Landsat scenes have been processed. A highlight reconstruction technique has been used on the Landsat 5 and 7 images to reduce color differences in the bright parts (i.e. the glaciers) where at least the blue channel saturates in many cases. The mapping system now also includes rivers which are processed using the waterbody generalization framework. Some smaller changes have been made to the rendering, for example in relief shading and the masking for the minor (dashed) contours for example has been changed (although it is still not quite satisfactory). 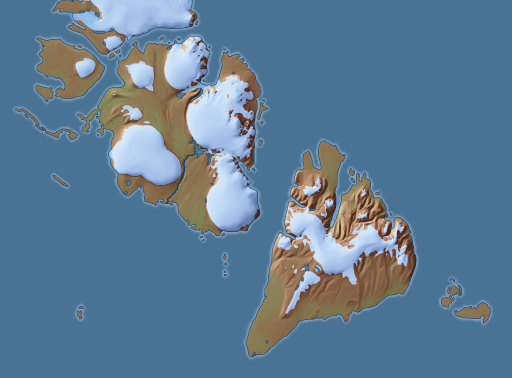 The relief data in the far north (the northern part of Komsomolets Island) has been poor and therefore i tried out a new shape from shading technique for that island which i will discuss in a separate post. The other islands also in parts show smaller mismatches between the relief and other map data. Unlike in Franz Josef Land there are currently no labels. While many features in Franz Josef Land have been named by explorers from western Europe, Severnaya Zemlya features have mostly been named by Russians expeditions and original information on these names is difficult to access without knowledge of Russian. You will also only find very few labeled features there in OpenStreetMap at the moment. 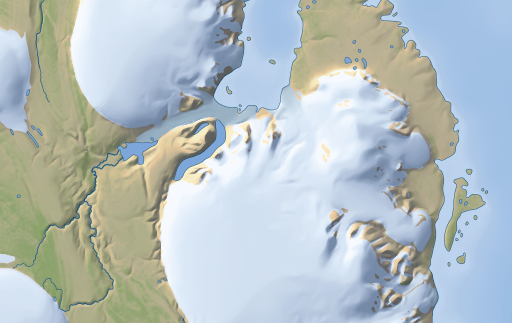 The data from this map is currently not yet in OpenStreetMap but the coastline, waterbody and glacier data will be put up there as time permits.